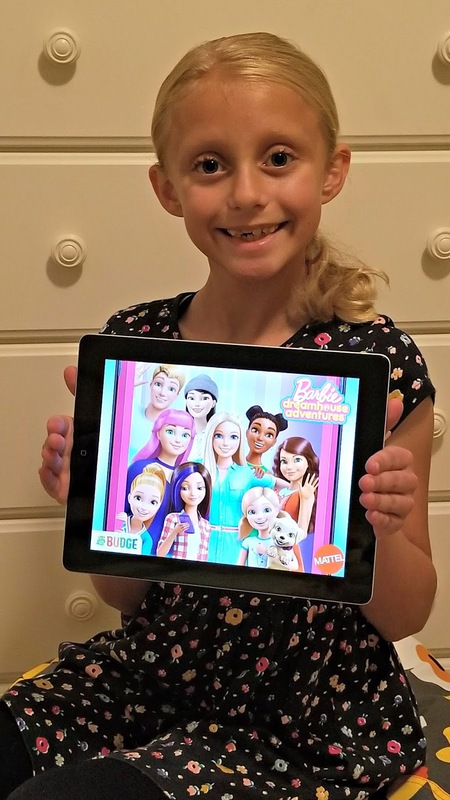 Mattel sent us a free download code that unlocked all the in-app purchases for the BARBIE DREAMHOUSE ADVENTURES app from Budge Studios so my daughter could try out all the extras for the game while trying it out. 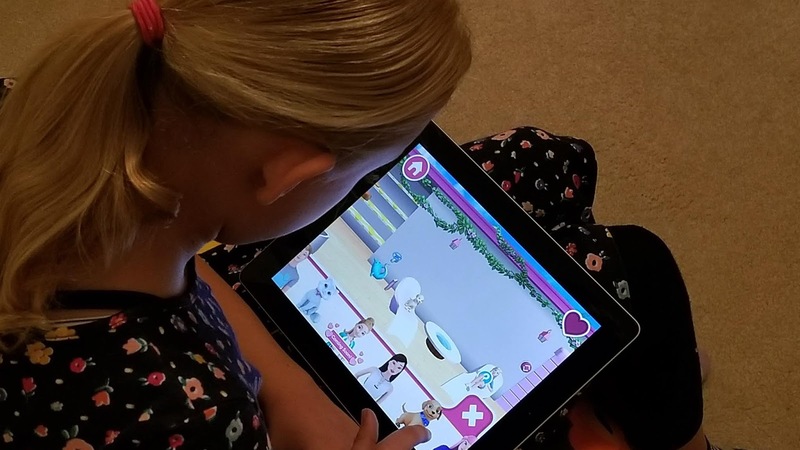 This new app lets kids have the fun of playing with Barbie dolls through a virtual experience on Android and Apple mobile devices. 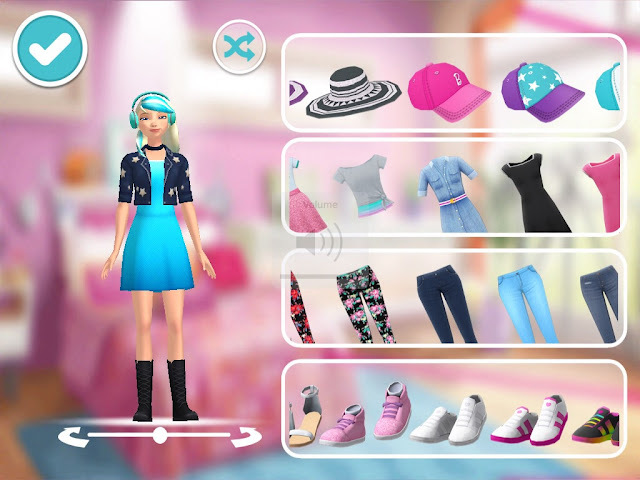 BARBIE DREAMHOUSE ADVENTURES is free to download and play with in-app purchases available for an enhanced entertainment experience. 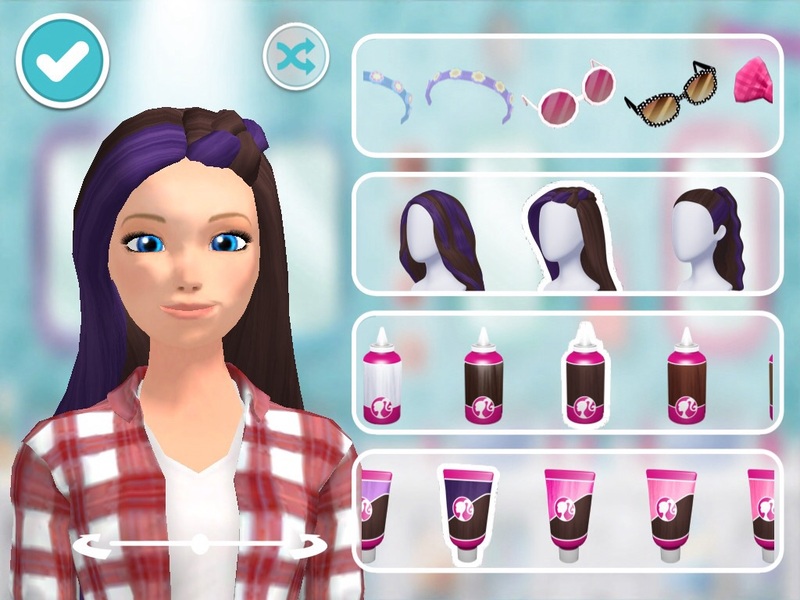 In-app purchases unlock additional activities, characters, rooms and outfits including Barbie's boyfriend Ken, the chance to pretend to be in a rock band, and a salon that lets players spruce up hair styles. Even if money isn't spent on the game though BARBIE DREAMHOUSE ADVENTURES still has plenty of fun stuff to do for free that makes it great to play. 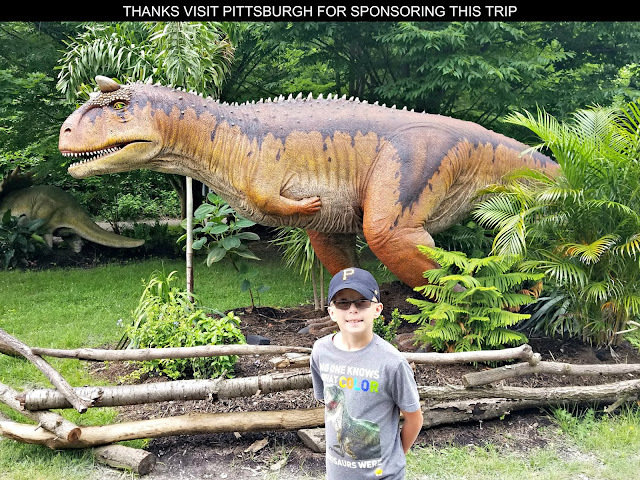 Inspiring creativity by allowing kids to put together outfits and style hair for their characters, decorate the dream house's rooms, and participate in activities including cooking and dancing this app encourages lots of imaginative play. My daughter has really enjoyed customizing the game's characters so they all have unique styles she envisions for them; then pretends they have incredible dreamhouse adventures living the lives of a famous chef, fashion model, movie star, rock & roll singer, and her personal dream of being an Olympic swimmer. Oh yes, Barbie's dreamhouse has a pool which is a spot where my daughter, who loves swimming herself, spends a lot of time playing around. She especially LOVES the puppies that can be adopted and join in the fun. Those puppies can interact in a lot of situations and you'll often find them participating in pool parties when she is playing the game! From sliding down staircase into a ball pit to diving into the pool there is a lot to explore within Barbie's dreamhouse. The place even has an elevator! Make smoothies in the café or some delicious deserts in the kitchen, take selfies of Barbie and her friends in a photobooth, or have a dance-off on the disco floor. This app provides an animated doll house that will entertain kids for hours upon hours. Whether playing with real dolls or virtual ones, Barbie is always fun to have adventures with. These iconic dolls from Mattel have delighted generations of children. To avoid becoming too absorbed in tech, we limit my kids screen time and encourage them to spend some of their playtime with traditional toys. Barbie dolls have always been a favorite of my little girl. As a dad, I appreciate how Barbie has evolved over time so that kids like my own daughter can pretend to save the day as super heroes or doctors with no gender barriers to limit one's inspiration or imagination. To share my family's Barbie fun, ageekdaddy.com has one of my daughter's favorite doll playsets to giveaway courtesy of Mattel. Barbie Dolphin Magic Snorkel Fun Friends combines two of her passions … animals and swimming. It includes a snorkeling Barbie doll wearing a color changing swimsuit, a pink dolphin that makes realistic sounds when its tail is pushed, and a pet puppy that squirts water. Who wants to win a Barbie Dolphin Magic Snorkel Fun Friends prize pack? Just complete the rafflecopter entries below by 11:59 pm ET on November 18, 2018 for a chance to be our one lucky winner. Must be a resident within the continental United States over 18 years old to participate. Good luck to all our entrants! 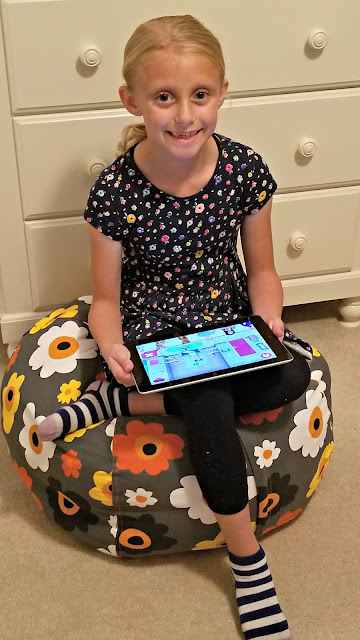 A Geek Daddy received a free code for free unlimited in-app purchase features on the BARBIE DREAMHOUSE ADVENTURES app and a Barbie Dolphin Magic Snorkel Fun Friends playset for my daughter as well as one to giveaway. 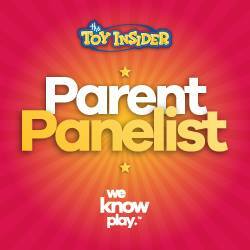 Mattel is responsible for fulfillment of the prize to our randomly selected winner. The opinions expressed in this blog post are my own.